Welcome to the peculiar and headlong world of Brian Doyle’s fiction, where the odd is happening all the time, reported upon by characters of every sort and stripe. Swirling voices and skeins of story, laughter and rage, ferocious attention to detail and sweeping nuttiness, tears and chortling—these stories will remind readers of the late giant David Foster Wallace, in their straightforward accounts of anything-but-straightforward events; of modern short story pioneer Raymond Carver, a bit, in their blunt, unadorned dialogue; and of Julia Whitty, a bit, in their willingness to believe what is happening, even if it absolutely shouldn’t be. ... 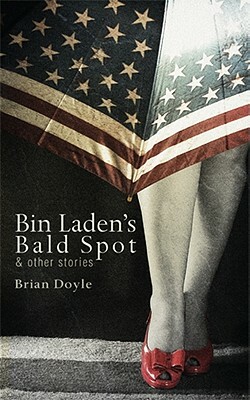 The barber who shaves the heads of the thugs in Bin Laden’s cave tells cheerful stories of life with the preening video-obsessed leader, who has a bald spot shaped just like Iceland. ... A husband gathers all of his wife’s previous boyfriends for a long day on a winery-touring bus. ... A teenage boy drives off into the sunset with his troubled sister’s small daughters…and the loser husband locked in the trunk of the car. … A man digging in his garden finds a brand-new baby boy, still alive, and has a chat with the teenage neighbor girl whose son it is. ... A mountainous bishop dies and the counting of the various keys to his house turns… tense. Brian Doyle is the editor of Portland Magazine at the University of Portland, in Oregon the best university magazine in America, according to Newsweek, and the best spiritual magazine in the country, according to Annie Dillard. Doyle is the author of ten previous books: five collections of essays, two nonfiction books (The Grail, about a year in an Oregon vineyard, and The Wet Engine, about the muddles & musics of the heart ), two collections of short prose, and the sprawling novel Mink River, which Publishers Weekly called an original, postmodern, shimmering tapestry of smalltown life. Doyle is a four-time finalist for the Oregon Book Award, and his essays have appeared in The Atlantic Monthly, Harper s, Orion, The American Scholar, and in newspapers and magazines around the world. His essays have also been reprinted in the annual Best American Essays, Best American Science & Nature Writing, and Best American Spiritual Writing anthologies. Among various honors for his work are a Catholic Book Award, two Pushcart Prizes, and a 2008 Award in Literature from the American Academy of Arts and Letters. He once made the all-star team in a Boston men s basketball league, and that was a really tough league. He lives near Portland, Oregon with his wife and children."